Box-pressed cigars, with their distinctive square form, were probably launched in Cuba to save space in smaller boxes. The cigars, packed tightly together when still moist, naturally adopt a squarer shape. Nowadays, using this format is a commercial decision for certain brands, the pioneers being Padron and CAO. The cigars are shaped in molds during the rolling process before being placed in their box. 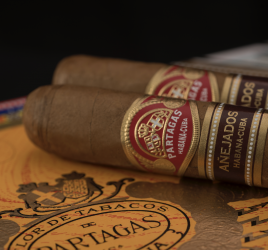 They say that box-pressed cigars burn more slowly – robustos, for example, apparently last longer – which intensifies the flavors. 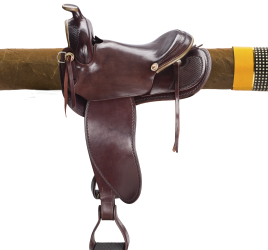 In our opinion though, on the contrary, box-pressed cigar have an easier draw. 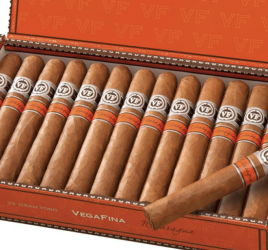 Moreover, to really judge, you would need to smoke the same cigar in round format and in box-pressed format. Yet manufacturers rarely take this risk, so it’s difficult to make a definitive call. In any case, if you haven’t already done so, it is worth trying a box-pressed cigar to see if you enjoy the sensation of a square cigar between your fingers or your lips. Ultimately, the only undeniable advantage of a box-pressed cigar is that, when smoking outside, it won’t be blown off the ash tray and end up on the floor with the first gust of wind!